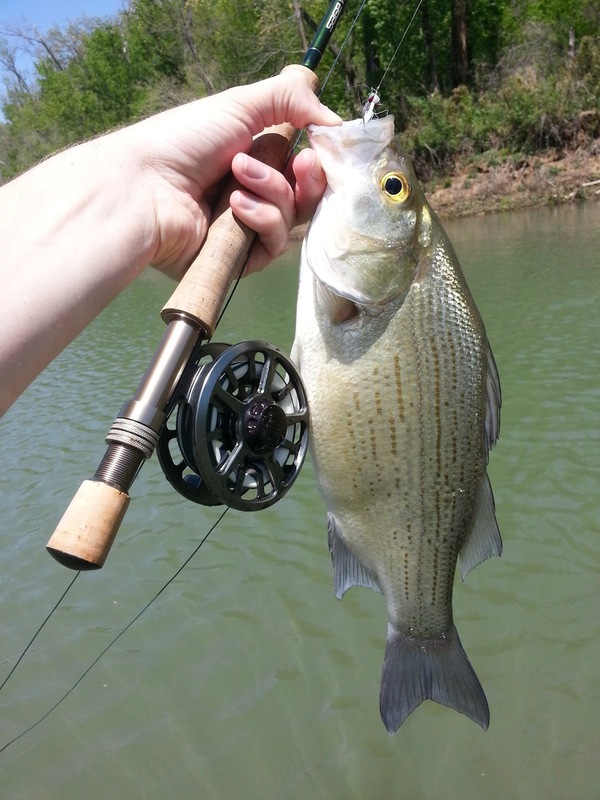 Jumped at the opportunity to do a little white bass fishing up in northwest Arkansas the other day. With a new job, new house and a new puppy, my fishing has been very limited lately. I only had a few hours so I went right to the spot where I killed 'em last year- nothing happening. 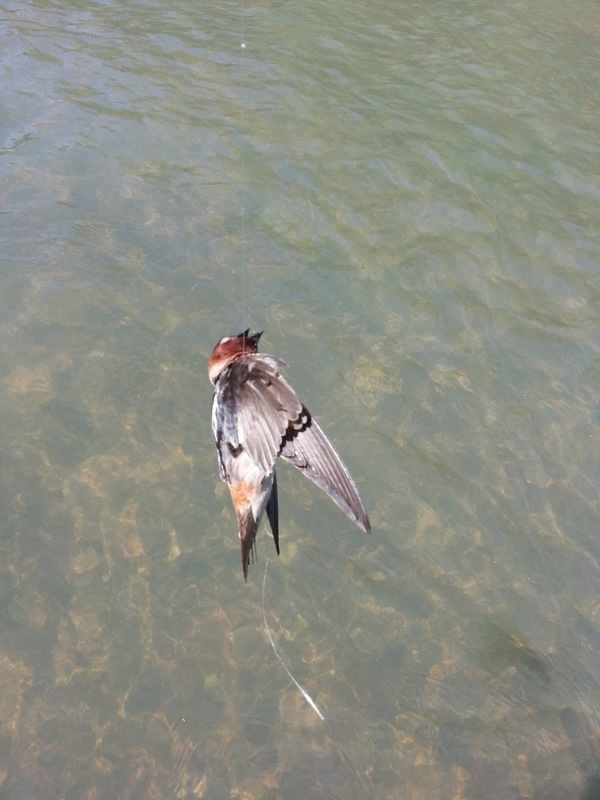 I did manage to entangled this poor swallow on my first cast. 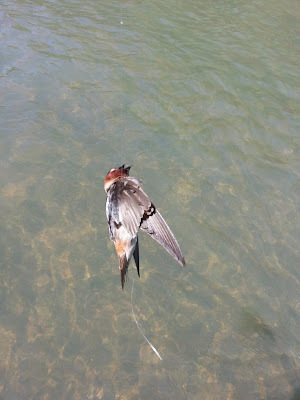 Once he was safely swarming the bridge with his buds, I switched to a larger pool where I saw a few bait guys fishing. 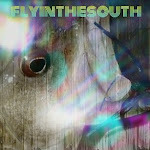 The whites were really getting after it in the shallow water and were not interested in my clouser. 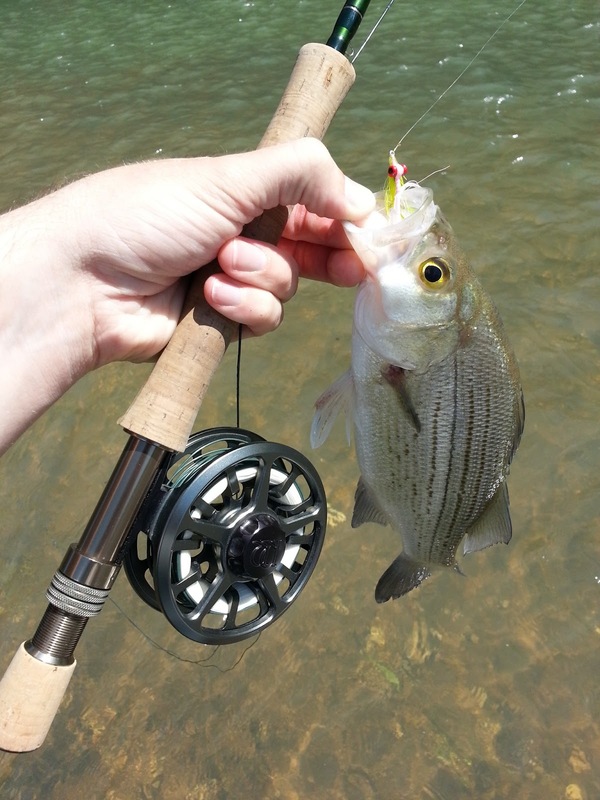 I did manage to get a few little whites but I kept moving downstream on the creek. I finally ended up at the mouth of the creek where there is a huge pool. Boom. I was catching some big whites on about every other cast and I was having a blast. The takes were subtle and right on the bottom. 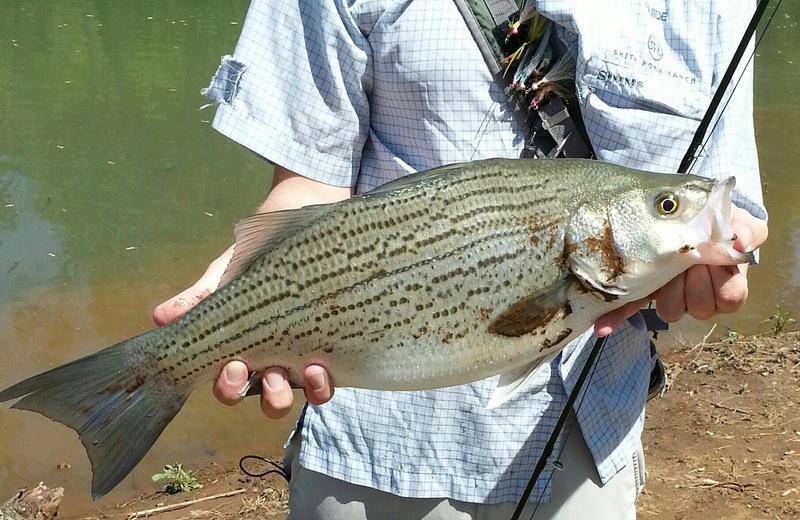 Turned out to be a pretty nice hybrid. Got an older gentleman to snap this shot so sorry about the bad picture. 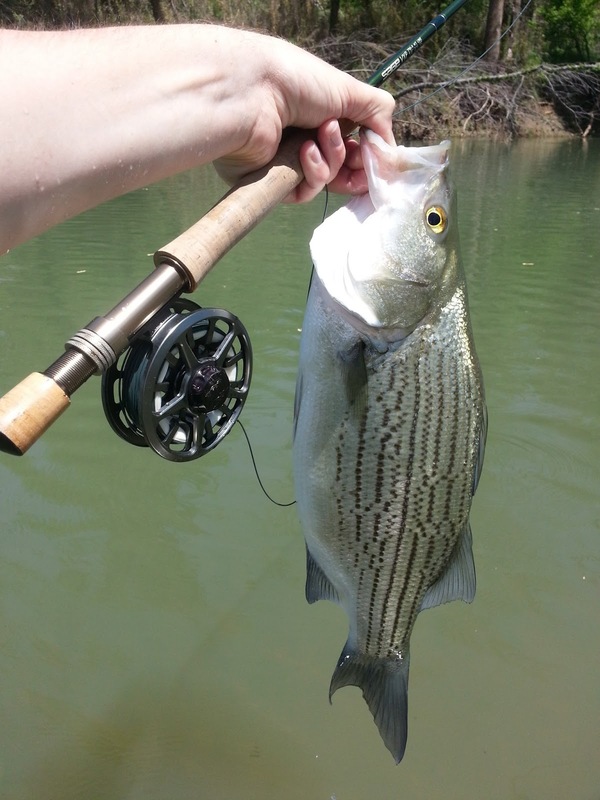 I got one more hybrid, which was a little smaller than the first but was still a blast. After that, there were a few more whites and then I had to jump in my truck and run back south. Nothing like a three hour drive home to cap off a day. 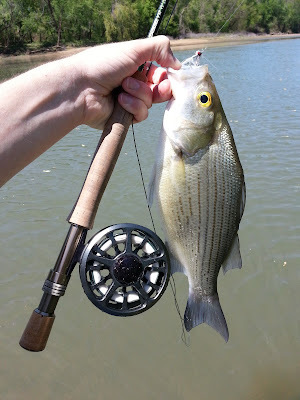 This was my only successful white bass trip this year and it felt really good to get back in there. Dang it, I love white bass. I never got into white bass like that this year. I am still searching for my first hybrid. Looks like you had a great day. Looks like a great trip! I havent found any white bass in the river this Spring either, Kevin. Thanks guys- that was a great trip. I haven't had a day like that in a long time- and probably won't for a long long time. Nice!! A bit behind on your blog.